But it seems the conveners of the Peoples Summit didn’t much trust their rank and file to draw the correct conclusions. Summit attendees I talked to said there was considerable willingness on the part of rank and file activists to consider third party options. But the summit’s conveners and headliners squashed and disparaged that, providing only the usual litany of reason after reason to unite, to defeat Trump. The Green Party’s Jill Stein contacted summit organizers and asked to address the event, and was turned down. The conveners knew what they were doing. For them, the Peoples Summit was never about raising up and hearing rank and file activists and encouraging them to chart the way forward. It was about keeping Berniecrats inside the Democratic herd long enough, with noses held or not, to get out the vote for Hillary or against Trump, either way. It’s because campaigning Democrats must disassociate themselves from performance of Democrats in office, from the Rahm Emanuels and Michael Nutters, to the Andrew Cuomos, the Barack Obamas and the Clintons and so many others in city halls, state legislatures, governors mansions and congress is so far from the aspirations of activists in Democratic primaries that for years now few will even identify themselves as Democrats. These are terms they’ve borrowed from other eras, cleansed of their historical content and turned into brands, devoid of specific meaning but calculated to evoke real or imagined memories or feelings in the minds of listeners. It’s the same kind of nonsense theater as the sit-in happening on the floor of Congress Wednesday morning as this piece is being written. In the 70s, the 80s and the 90s, Democratic honchos depended on people like me to get out there in the projects and the neighborhoods and talk to people who wouldn’t talk to them, to organize constituencies which which wouldn’t listen to them, the voters who’d stay home if nobody they respected courted them. We’d worked those same neighborhoods hard for opposition candidates in Democratic primaries, winning sometimes, most notably City Hall in Chicago in 1983 and 87, and the occasional city council, legislative or congressional race. More often though we lost to big money, big media and outright fraud, much as the Sanders campaign did this year. 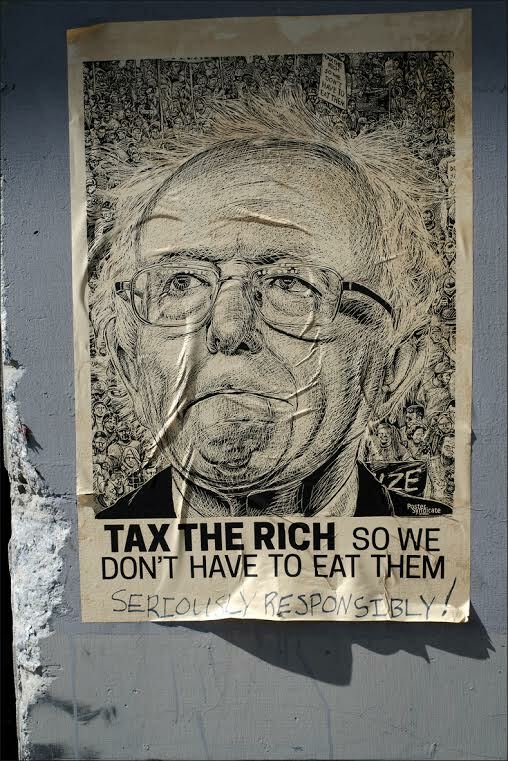 The voters we dragged back into the fold for our opposition campaigns in Democratic primaries sometimes elected good people, but mostly they strengthened the hand of lesser evil one percenter Democrats in general elections. Year by year, one percenter Dems tweaked the rules on ballot access, voter registration, on primary elections, big money and other areas to raise the obstacles to success in Democratic primaries ever higher, and eliminated primaries for offices like mayor altogether.So there were two conversations in Chicago last weekend. The folks at the front of the rooms agonized about whether they’d have access to Bernie’s database, and called upon activists to hold their noses and if need be create an “independent defeat Trump movement.” They discussed variations of discredited fusion and inside-outside strategies too. Most of the rank and file in the back of the rooms, participants told Black Agenda Report, were simply glad to be in each others company, enjoying the free food and parties, and working out what to do next on their own.The Illinois Green Party, which purchased a table was surprised to find itself named as a “partner” of the summit. 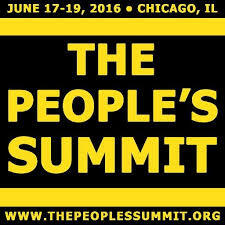 In the end, the so-called People’s Summit lived up to at least half its name. It was indeed a summit, with big names preaching down at, trying desperately to herd them instead of hear them, trying to run them instead of raising up their experiences and insights, out of justifiable fear that those might lead them outside the Democratic party. Bruce A. Dixon is managing editor at Black Agenda Report and co-chair of the Georgia Green Party. He lives and works near Marietta GA.